After almost five years away from Australia, both MGMT and Franz Ferdinand — two world-renowned acts — returned to Australia to put on a small run of memorable performances in Melbourne and Sydney. 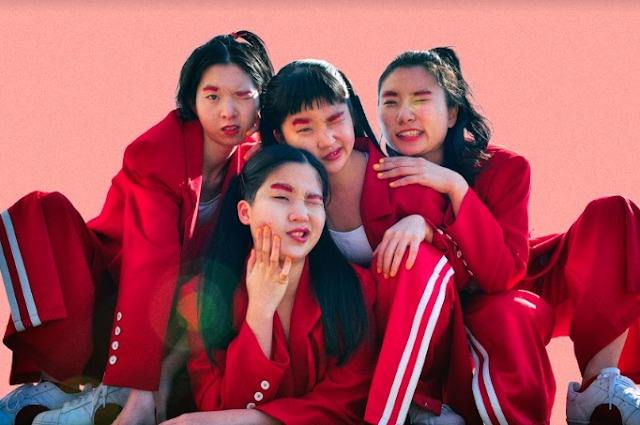 Tuesday night marked the first performance of this tour and the two acts reminded Melbourne of their talents in emphatic style — Festival Hall was filled with the colours and sounds of both bands' particular styles. The co-headline performance would have raised eyebrows to some, as MGMT’s psychedelic pop anthems potentially not matching with the high-zest rock energies of Franz Ferdinand, but it worked and the two bands put on stellar performances off the back of two major Splendour in the Grass sets. MGMT opened affairs at Festival Hall, thrilling many of their fans who had been waiting for the duo’s return to Australian shores. Off the back of releasing their fourth studio album, Little Dark Age, MGMT’s set included all of their hits, with early performances of 'Little Dark Age' and 'Time To Pretend' exciting everyone in the hall. MGMT’s psych sounds were an exciting nostalgia trip, as the band’s inviting fusion of psychedelic rock, electronic house and pop put the crowd in both a groove and mood to move. The set fully encompassed MGMT’s recording history as they rolled through their long list of hits, touching on parts of all four of their albums throughout — having songs 'She Works Out Too Much' (sung on an exercise bike), 'Weekend Wars', 'It’s Working', 'James' and 'Me and Michael' all featuring. 'Electric Feel' was a highlight as an exciting throwback to the early 2000s and MGMT’s first album Oracular Spectacular — the boppy, upbeat psych-rock number, pumping up the crowd, yet also relaxing them as Andrew VanWyngarden’s mesmerizingly lulled vocals floated over the crowd, melding with Ben Goldwasser’s thick synthy beats before a spectacular finish to their set. Visuals played as important a role in MGMT’s set as the music, with a dual screen setup helping emphasise each track. These visuals made a massive difference, underpinning and complimenting MGMT’s tracks perfectly. The theatrical performance also included strobes, smokescreen and a giant inflatable of the Little Dark Age album’s symbol, as the duo and their accompanying band pulled out all the stops. MGMT’s live performance benefited from the inclusion of their touring band, with the additional keys, guitar and bass helping push the tracks to new heights, allowing for a deeper impact and colour to shine through their multitude of hits. Not utilizing an encore and instead going for a musical interlude reminiscent of house in the early 2000s MGMT opted for 'Congratulations', the title-track off of MGMT’s sophomore studio album of the same name to close out their set. While the album wasn’t a heavy presence throughout the band’s performance, the popular single from the highly sought after album sent themselves off well with everything coming together for a powerful finish. The usually mellowed sounds of 'Congratulations' being amped up and exploding through Festival Hall for the band’s closer. 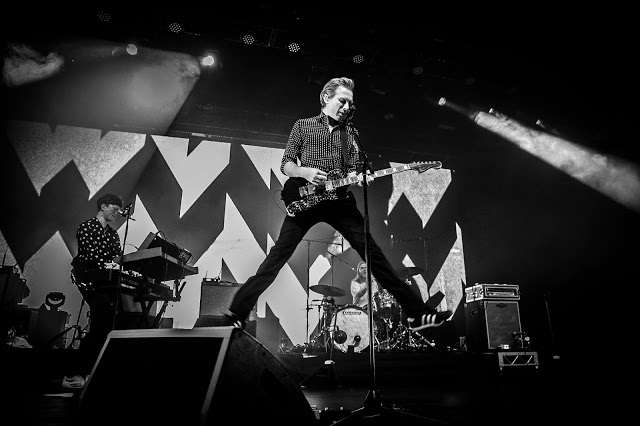 After five studio albums, it seems Franz Ferdinand hasn’t shown any signs of slowing down and if that wasn’t apparent to their Australian fans, it certainly would have been after their Tuesday night performance. Their live sound was full of punchy flair and completely eclipsed the already highly energetic power apparent on their albums. The incredible five piece Post Punk revivalists, from Glasgow opened their set strongly, throwing back to 2004 and the band’s debut album through 'The Dark Of The Matinee'. The emotionally driven number quickly picked up where MGMT had left off, immediately amping up the crowd through early guitar solos and some smooth dance moves from the band’s lead singer, Alex Kapranos. The steam of the set quickly picked up after a short introduction, as Alex and the band led the fevered crowd through 'Catherine', the title track off of their recently released album, 'Always Ascending' and 'Do You Want To' before using the jazz edged number, 'Glimpse Of Love' to slow the storming momentum of their set. There was much more to come, with 'Stand On The Horizon' and 'Feel The Love Go' keeping the energy lulled before building into 'Walk Away'. The closing run of songs is where the tension broke and Alex, Julian on keys/guitar and Dino on lead guitar let loose with electrifying solos, thunderous vocals alongside some exciting crowd engagement highlighting 'You’re The Reason I’m Leaving', 'Lazy Boy' and 'Let’s Get High' before producing one of the songs of the night as well as a track most fans were waiting for; 'Take Me Out'. The award-winning single sent the crowd into a tizzy and Alex helped keep that atmosphere with his call and response through the end of the track, having the ecstatic crowd singing the main-line “Take Me Out”, leading into the break. Unlike MGMT, Franz Ferdinand didn’t have a major focus on visuals, yet the energy and electrifying pace at which the band operated was their selling point, the co-headliner providing an interesting look into how different types of performances can still be inviting for different reasons. Sadly, the performance had to end but, Franz Ferdinand put an explanation point on the night, returning to the stage for a final encore closing the night down with 'This Fire' figuratively setting the stage ablaze. The rendition of the famous track from the band’s self-titled debut release went beyond the wildest imaginations of their fans, with the Glasgow quintet flying into overdrive with a ten minute rendition of the recording. Thrilling guitar solos, call and response with the crowd were all included in this one final song. The pace, energy and overall drive of the track becoming a fitting conclusion to a high-octane performance from both bands.